Just like any weekend, last Friday saw the release of several movies, but the wide release I’ve heard the least about is The Best of Enemies, and the reviews I’ve seen have been negative or mediocre. That being said, I’m a firm believer that everyone should make up their own minds, and the trailers looked great, so I went to see it anyway. The main criticisms I have seen of the film have unsurprisingly been about race and politics, much like last year’s best picture winner Green Book and this January’s quickly forgotten drama The Upside. I have a complicated relationship with movies like this, in that I tend to enjoy them (I loved Green Book and thought The Upside was mostly OK with great lead performances), and when they are termed racist or classist or what-have-you, I feel like people are saying that liking them makes a person racist/classist/sexist/etc. Of course, that’s a ridiculous notion, but one that has been coming up a lot in recent film discourse. It seemingly becomes impossible to talk about a movie, even one that isn’t supposed to be overtly political like Star Wars, without first addressing whatever political elephant is hiding in the room this time. As for The Best of Enemies, the issue is slightly muddled for me. Let’s take a look. 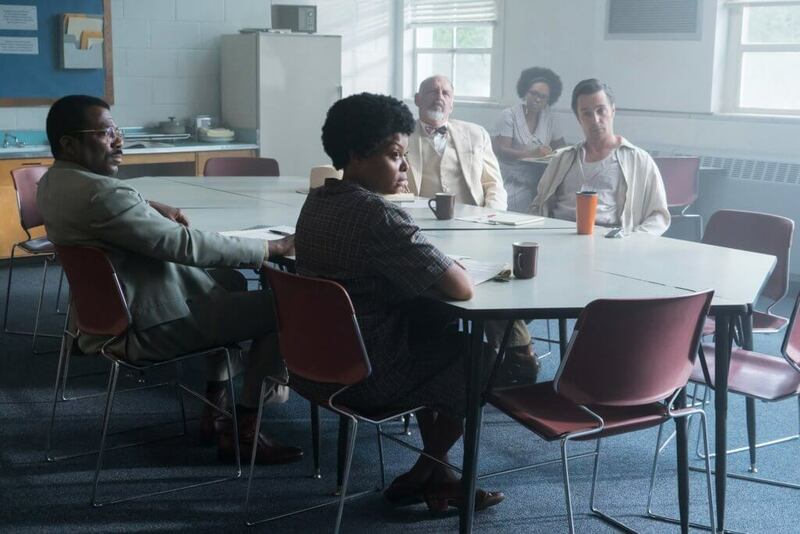 The Best of Enemies tells the true story of civil rights activist Ann Atwater, Ku Klux Klan Grand Cyclops C. P. Ellis, and how they became unlikely friends through the debate on school integration in Durham, North Carolina. The trailer tells you most of the major story beats: Ann argues that black people are just as human and made by the same God as white people and, therefore, their children deserve the same education; C. P. slowly changes his mind but risks a lot in the process. 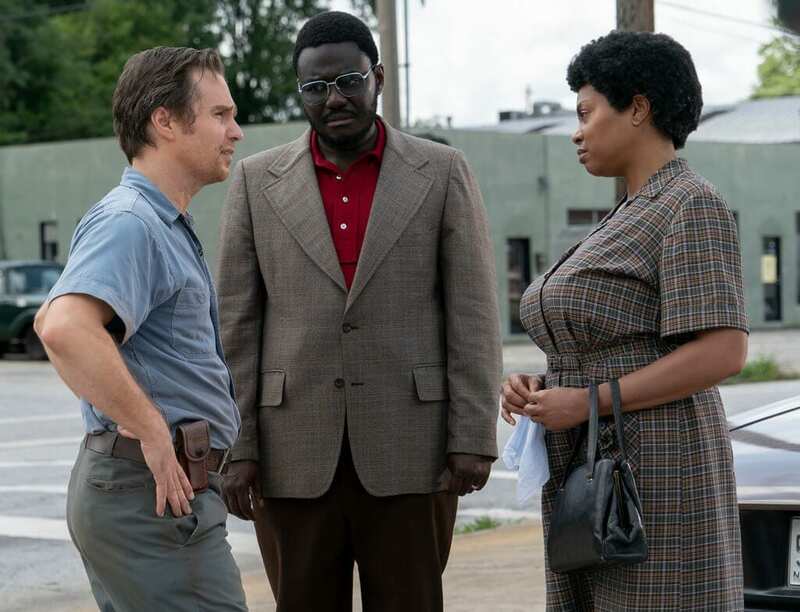 If you’ve seen the trailers for The Best of Enemies, or if you know Taraji P. Henson and Sam Rockwell from other things, it comes as no surprise that their performances are exemplary here. Henson portrays Atwater as a woman on a mission, fiery and unrelenting in her demands of equality and safety for her children and her people. She’s loud, she’s angry, and she will be heard. Meanwhile, Rockwell’s Ellis is a man of few words who is also driven by love for and a desire to protect his family. Similarly to The Upside, The Best of Enemies is largely carried by inspired performances from its two leads, but The Best of Enemies has a little bit more going for it outside of the acting. The Best of Enemies has a surprising understanding of how racism works and what causes it. The film’s white characters – and C. P., in particular – oppose integration because they’re afraid of change. They fear overcrowded schools full of distractions, an unsafe environment for their kids, and the loss of their very culture and lifestyle. Some may (and probably do) argue that it’s wrong to paint the racist KKK in this understandable, relatable light. However, an interesting character doesn’t just start out a black-hearted monster and turn into a flawless hero overnight, and neither do real people. To combat racism, you have to understand where it comes from. The Best of Enemies takes an empathetic approach in realistically exploring why a person would believe such terrible things without defending any of it. This same empathy is what ultimately facilitates the change in C. P.’s character and his view of black people. Rather than bonding with Ann over music or a love of fried chicken or any number of unbelievable fantasies dreamed up as conflict resolution in these movies, C. P. begins to understand and respect his “enemy” when he realizes that she’s just like him on a deeper level. Ann wants her children to be safe and happy, something C. P. understands all too well. In this day and age, it’s hard to imagine that he simply hadn’t thought of black people as humans with feelings prior to this, but frightened and angry people tend to seem numb to the suffering of others, particularly that which they inflict themselves. The argument that The Best of Enemies focuses too much on white folks and the KKK, unfortunately, plays a part here. Ann’s actions definitely influence C. P.’s character development, but the film also highlights a couple of members of the white community who are sympathetic to Ann’s cause. I don’t want to spoil too much, but I doubt it comes as a surprise that these individuals are pressured to vote against their beliefs, and seeing the Klan’s treatment of them gets C. P. thinking. One of these individuals’ stories benefits the overall narrative and serves as a vital turning point in C. P.’s character arc, but the other does not and should have been cut from the film. This wasted screentime could have been used to develop Ann and C. P.’s relationship more, or even to show some of the fallout suffered by the black community, which is almost entirely ignored in this movie. The film’s inciting event is the burning of the East End elementary school, and for some reason, this is the only scene that really shows the audience what Ann’s people are going through. C. P. is the most dynamic, interesting character in The Best of Enemies by virtue of his slow-burning character arc and Rockwell’s understated portrayal of the man. However, the marketing and her screentime make it feel like this should be Ann’s story as much as his. Don’t get me wrong; you see a lot of Henson in this film, and she’s spectacular. But why focus more on what C. P. is fighting for than what Ann stands for when he ultimately comes to see her point of view and change his vote? This doesn’t ruin the film for me, but honestly, if it does for some people, I can’t say I wouldn’t understand or they would be wrong. Even if they wanted to cut the one white woman’s story and substitute it for a member of the black community, the film would feel more balanced, and it would solidify why Ann is right, even if her approach isn’t quite right at first. The Best of Enemies isn’t a costume drama, but it is a period piece, so the costumes are worthy of note. The costume department does a great job not only of capturing the time period but also of making Henson and Rockwell look like their real-life counterparts; hell, the normally gorgeous Henson is nigh unrecognizable, save her long eyelashes. The film’s musical score by Marcelo Zarvos is pretty good, but I don’t care for the choice of songs throughout the movie. The Best of Enemies is well filmed, but of course, it’s not a “visual spectacle” type of movie, so the fact that the shots don’t distract the audience is a good thing. Overall, The Best of Enemies is a good time at the theater. While I was quick to defend Green Book and The Upside against complaints of racism and classism, it would be hard to deny that The Best of Enemies takes a passive, likely unintentionally one-sided approach to its subject matter. The film’s understanding of racism and what causes it is surprisingly sophisticated, and I think by substituting the white female voter with someone close to Ann, or at least from her community, they could have avoided this issue entirely. That being said, I still think this is a good film and one a lot of people should see. Even people who believe like Ann (and today’s equivalents) could learn something from the way the movie analyzes the culture, beliefs, and fears that create someone like C. P. In the end, Ann wins him over with empathy, and that point needs to be understood by people on all sides today. The Best of Enemies is a good time at the theater. While I was quick to defend Green Book and The Upside against complaints of racism and classism, it would be hard to deny that The Best of Enemies takes a passive, likely unintentionally one-sided approach to its subject matter. The film’s understanding of racism and what causes it is surprisingly sophisticated, and I think by substituting the white female voter with someone close to Ann, or at least from her community, they could have avoided this issue entirely. That being said, I still think this is a good film and one a lot of people should see.